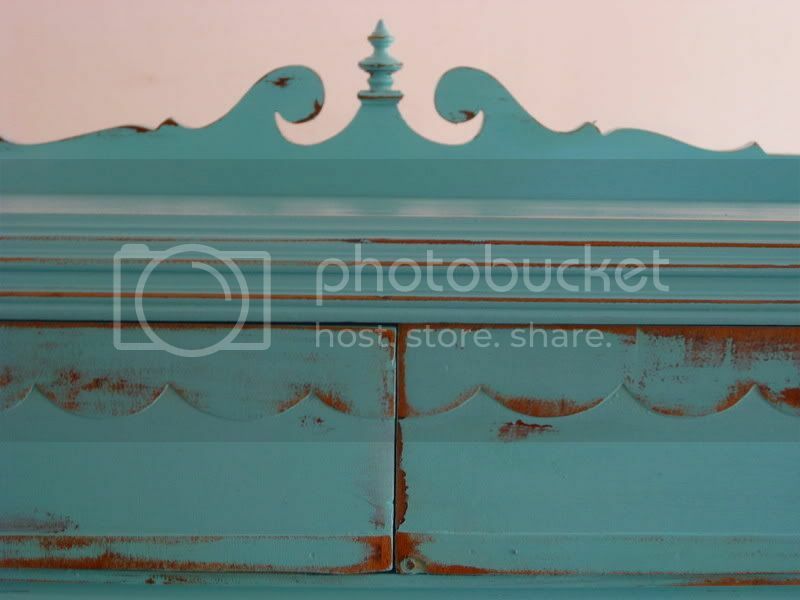 i love the scalloping on the drawer fronts! so many cute details on this piece. the legs are the absolute best! 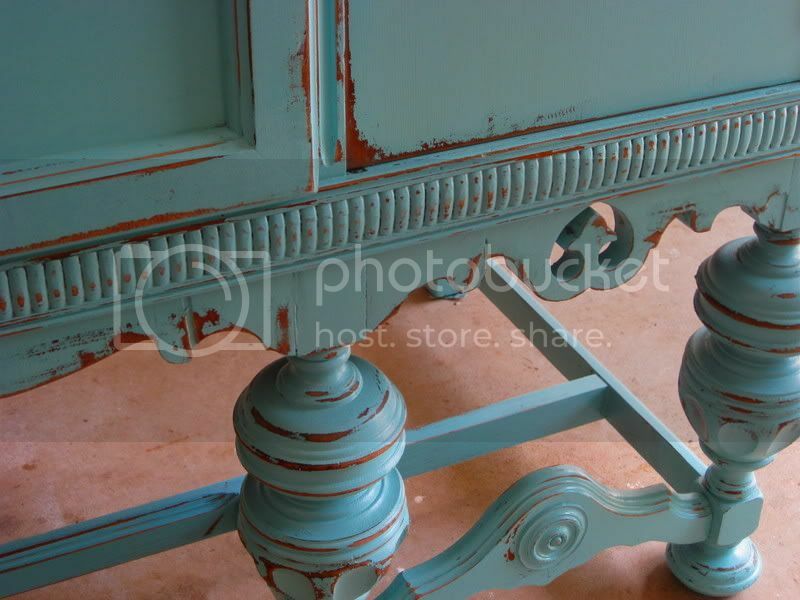 again, the color is "lagoon" by martha stewart. LOVE. IT. Such pretty details in one of my favorite colors. This is fantastic! Makes me want to set a cocktail on it (with a coaster of course) in the Bahamas! omg. i'm obsessed with this. i want one just like it. a- someone tells me that there is one available on craigslist right now, in conyers! just fyi. the style of the piece is "depression era", just incase you want to do a search for it! it's really way cuter in person. i'm going to get a photo of it once she moves it into her dining room, where it's going to live. her style is precious, so ican't wait to show it off with the rest of the room!! Wow! It looks amazing! 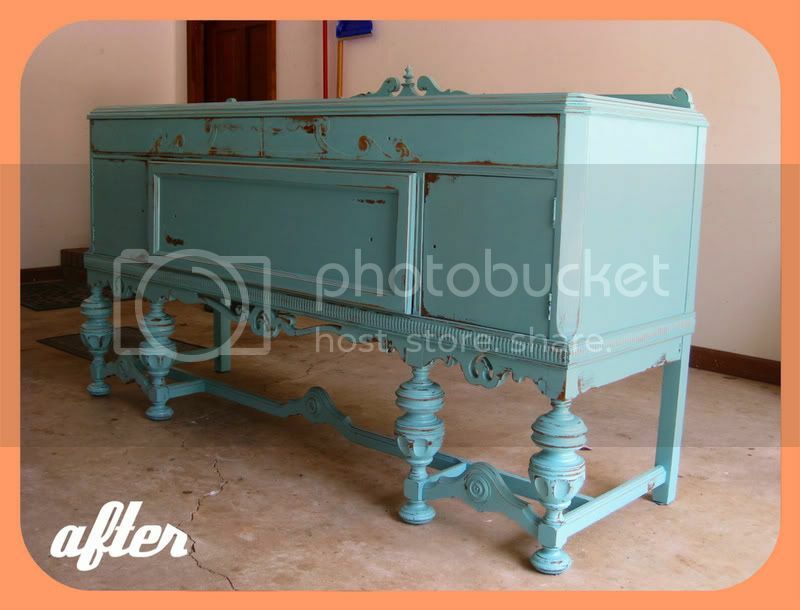 I actually have a similar buffet, but it's painted in a cream colour. You are inspiring me to paint it blue! Amazing job (as always!) you really are talented! Fantastic colour! I love this! 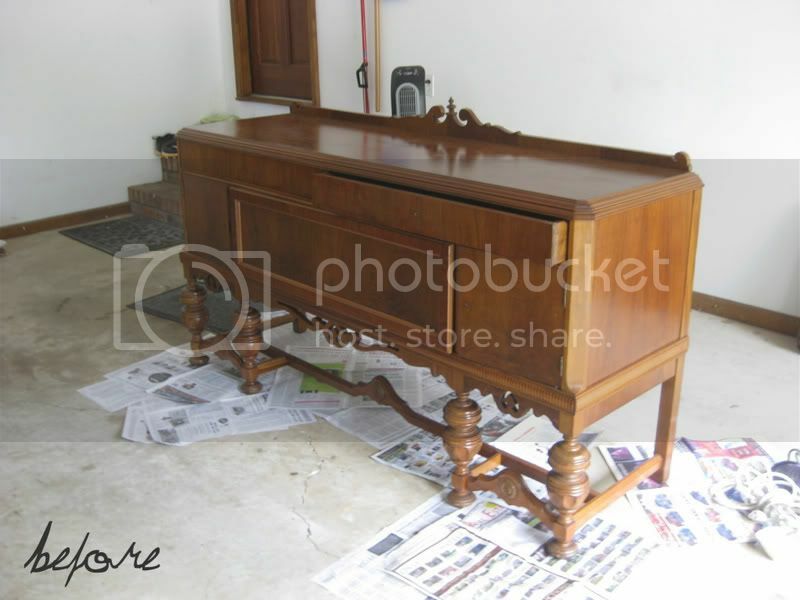 I couldn't even tell in the before shot that there was scalloping and other details on the front. I'm really digging the color, too! So whimsical! I can picture this in an enchanted dollhouse. Or, you know, my living room. How pretty would that be as your entertainment center? This is great! 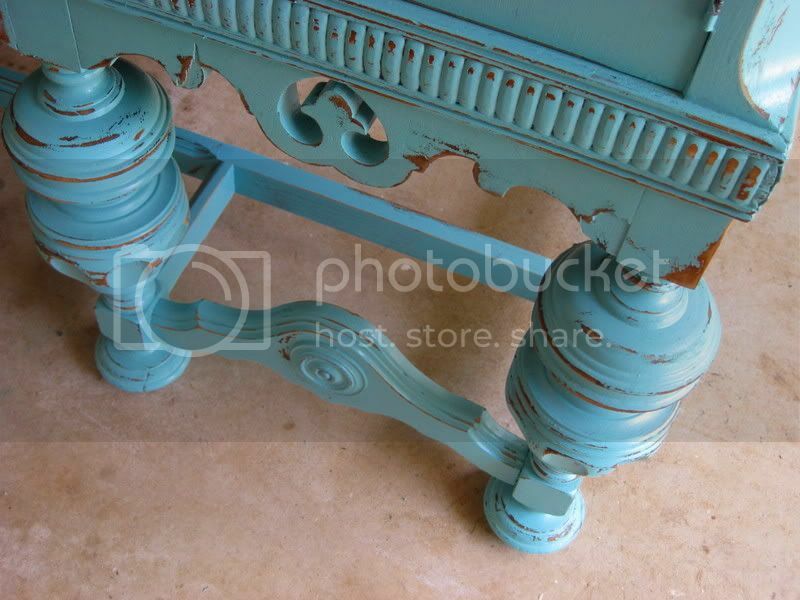 I just painted and distressed a whole dining table and six chairs, all inspired by your blog. Now I want to do my side table too. The blue is great as well. Love your work. woo hoo! she's a BEAUTY! well done! Beautiful. Thank you for sharing the finished product. What a great "after". Love the color! i think this is my favorite job you've done!! I have to share this with you...crazy huh? Think you could save it?? I wish you could do some DIY instructions for the followers who live thousands of miles away so we could attempt to something similar.I would just have no idea where to start! Beautiful piece and perfect color! Okay, is it just me, or does the finished product have red on it now as well as the blue? That's not the wood coming back through, but a redish paint. How did you do that? Did you paint the red on afterwards? If this was the original way it was finished I would say very nice but...sorry to say I now see a beautiful piece of craftmanship now ruined forever. The original finish looked to be spectacular.